However, often the opposite happens and many thrillers end up being average at best. It is very disappointing when you see a film of any genre that had great potential in some way or another, but yet just doesn’t quite rise to that level of brilliance. Not every thriller made will rise to the high levels of classics like “Se7en” and “The French Connection”. Director Barbet Schroeder is no stranger to the thriller and crime genres, having made such films as “Reversal Of Fortune”, “Single White Female”, “Before and After”, “Desperate Measures”, and “Inju: The Beast In The Shadow”. With Schroeder’s flair for this genre and working with some of the biggest stars of the 90s, his remake of the 1947 film “Kiss of Death” should have been a hit. However, the end result of this film was just average. The brilliant Paul Verhoeven has talent to burn, and much of his output in the 80s and 90s reflects that. His films are often daring, provocative, and even darkly funny, and his strengths seem to lie in the science fiction and thriller genres. 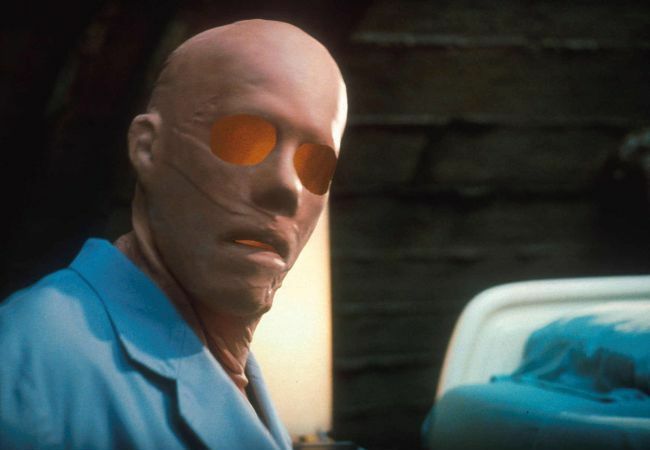 His 2000 film “Hollow Man”, about a scientist who goes crazy and wreaks havoc after becoming invisible, combines elements of both sci-fi films and thrillers. But it seems that his skills did not work well when entering the new millennium. Perhaps the special effects were more important to the filmmakers than the thrills intended by the idea of a homicidal man who cannot be seen, which could have been very creepy. Therefore, the action is pretty mediocre and the characters are pretty generic. But to be fair, its direct-to-video sequel, “Hollow Man 2”, is just plain terrible. The idea behind “Taking Lives” is an intriguing one; a serial killer has been murdering men his age and stealing their identities for 20 years, and is now active again. 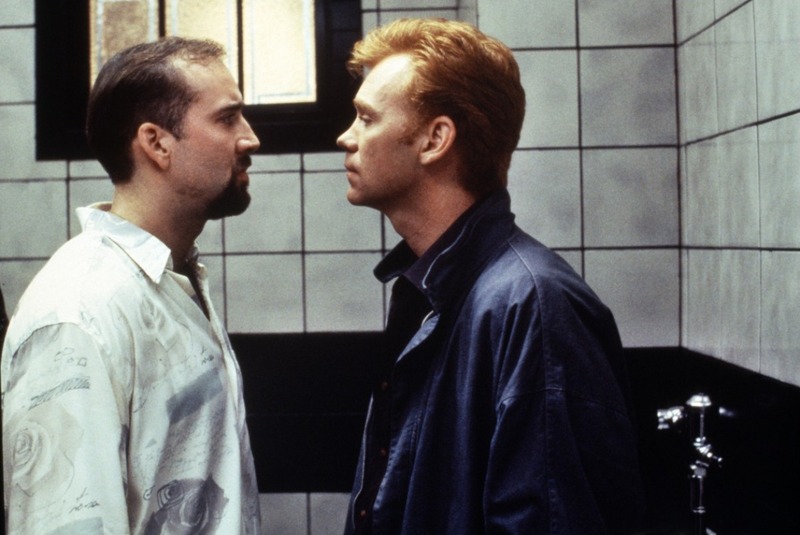 The film starts with a great opening scene set in 1984 with the U2 song “Bad” playing in the background, where two young men strike up a friendship, giving viewers a false sense of security. The title – “Taking Lives” – is great, as the killer is taking people’s lives by both killing them and stealing their identities. With actors like Angelina Jolie, Ethan Hawke, and Kiefer Sutherland leading the film, and with such incredibly dim lighting adding to the bleakness of the story, “Taking Lives” should have been one of the classic thrillers of the 2000s. The idea of identity theft is a creepy one, where someone could pretend to be you and live out some bizarre lifestyle in your name. 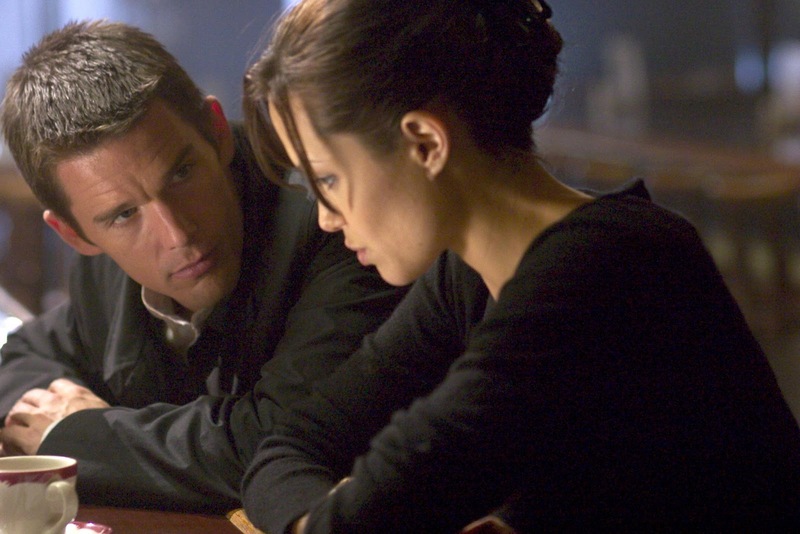 However, “Taking Lives” falls short of the greatness of its premise. The look and feel of the film ended up being a pretty typical of a serial killer film that audiences have seen many times. If “Taking Lives” had been more inventive and original in places, it would have stood out from the pack. Director Richard Kelly’s debut film “Donnie Darko” became a huge cult hit with its blend of teenage drama and science fiction. Its arresting visuals were captivating, its bleak philosophy was arresting, and it helped launch Jake Gyllenhaal’s acting career. It also presented Kelly with great opportunities; he decided to make his trippy social satire “Southland Tales” that was misunderstood and many believed to be a bloated and self-indulgent failure. “The Box” was Kelly’s follow-up film that tried to me more commercial while also still maintaining Kelly’s unique filmmaking style. “The Box” is set in the 70s and a couple played by Cameron Diaz and James Marsden are faced with the ethical dilemma of pressing a button on a mysterious box that will allow them to have a million dollars, but will end the life of a stranger. “The Box” had an intriguing idea about whether people will do the right thing over their own greed. The visuals were great, and definitely the type you would expect from the director of “Donnie Darko”. The 70’s look and feel was well done, much like how the 80’s setting of the aforementioned film was perfectly realized. Perhaps this is a trope for Kelly, in setting his films in the past he grew up in. This is further emphasised by the fact that Diaz’s and Marsden’s characters are based on Kelly’s own parents, including the fact that Kelly’s father worked at NASA. Despite its visual excellence, “The Box” felt flat and dull. The characters often speak in monotone and seem lifeless. Although the characters in “Donnie Darko” were mostly depressed, or depressed but pretending to be happy, they were engaging and memorable characters. The characters in “The Box” were none of those things. Director Michael Cimino was a critical darling of Hollywood when he made “The Deer Hunter” in 1978, for which he won the Oscar for both Best Director and Best Picture. His follow up film “Heaven’s Gate” is notorious for being one of the biggest flops in Hollywood history, and the film that caused United Artists to close. This was the beginning of the downward spiral that Cimino’s career would take, and it did not get any better when he made “Desperate Hours” a decade later. Unlike the big sprawling epic landscapes seen in “The Deer Hunter” and “Heaven’s Gate”, “Desperate Hours” is set in suburbia, specifically in one house where a trio of runaway criminals hold a family hostage to hide from the police. The family tries to outsmart the criminals in order to escape, with mind games ensuing. The film feels more like a made-for-TV movie rather than a Hollywood thriller, which is a shame, as it had the means to be better. Despite his post-Oscar bad reputation, Cimino is an amazing director with a great eye for visuals, which is shown plenty of times in “Desperate Hours”, and the cast have been great in other films. 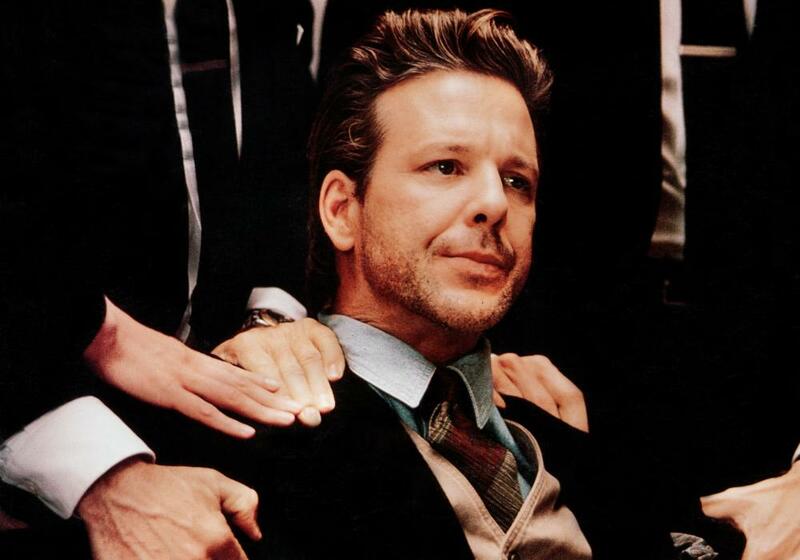 But somehow “Desperate Hours” is a disjointed thriller that all involved with it probably do not care to remember, and the final showdown between Hopkins and Rourke’s characters is beyond underwhelming. Not every movie has to be completely original to be great, as that is nearly impossible in this day and age of film. Simply having a fresh and interesting take on something can make all the difference. Unfortunately, the 2003 thriller “The Recruit” is not one of those films. “The Recruit” is, quite frankly, a very generic spy thriller with clichés like a cocky young hotshot being taught by a tough older mentor, finding a mole in the ranks, cool spy gadgets, and dialogue along the lines of “you’re never out of the game.” Seriously, there is nothing original, or simply entertaining about this film. 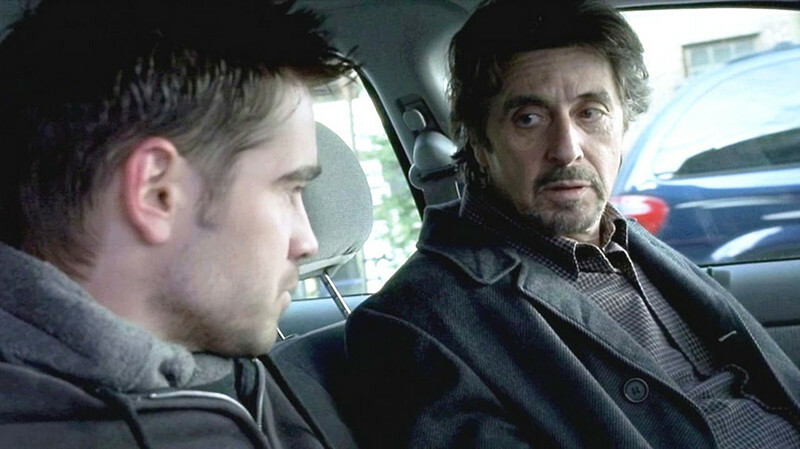 “The Recruit” could have been great to see Al Pacino teaching a young Colin Farrell the ropes of being a CIA agent. The reality, however, is so boring and the pace is plodding. Even when there is action, it is so dull that viewers simply will not care. David Fincher is one of the most acclaimed directors in Hollywood, known for his brilliance for creating a sense of dread and thrills in his grim films. After his groundbreaking film “Fight Club”, he stumbled by making the very average “Panic Room”. “Panic Room” sees a mother and daughter getting terrorized by three burglars, who are after $3 million worth of bearer bonds that are in the panic room where the two women are hiding. This plot is basically a home invasion movie that is like every other home invasion movie ever made. 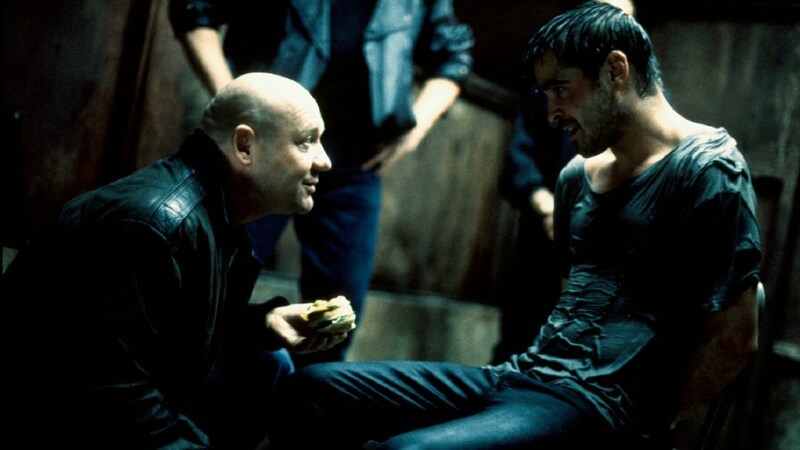 The only typical visual elements of Fincher’s to be seen here are his dim lighting and some cool camera shots. That’s about it. To be fair, the story did not require the jump cuts and distorted visuals of “Fight Club” or “Se7en”; perhaps the fact Fincher made “Panic Room” works against it in this regard. If you are looking for a Fincher thriller, watch the very underrated “The Game” instead (amazing movie! ).